Eschew the tourist crowds and head to Lahaina Banyan Court and Zipline. Explore the numerous day-trip ideas around Lahaina: Kihei (Maui Brewing Company & Scuba & Snorkeling). There's much more to do: get a new perspective on things with Boat Tours & Water Sports, take a stroll through Lahaina Front Street, kick back and relax at Napili Beach, and tour the pleasant surroundings at Kahekili Beach Park. For where to stay, photos, and more tourist information, read Lahaina trip planner . Tel Aviv, Israel to Lahaina is an approximately 27-hour combination of flight and bus. Traveling from Tel Aviv to Lahaina, you'll gain 12 hours due to the time zone difference. Expect a daytime high around 35°C in September, and nighttime lows around 27°C. Cap off your sightseeing on the 21st (Sat) early enough to travel to San Francisco. Start off your visit on the 22nd (Sun): snap pictures at Golden Gate Bridge, step aboard SS Jeremiah O'Brien, then take a leisurely stroll along Fisherman's Wharf, and finally explore the wealth of natural beauty at Alcatraz Island. Get ready for a full day of sightseeing on the next day: get a taste of the local shopping with Ferry Building Marketplace, then admire all the interesting features of Golden Gate Park, and then take in nature's colorful creations at Japanese Tea Garden. For maps, where to stay, and more tourist information, you can read our San Francisco trip itinerary builder app . You can fly from Lahaina to San Francisco in 10 hours. Other options are to do a combination of bus and flight; or do a combination of bus, flight, and train. The time zone changes from Hawaii Standard Time (HST) to Pacific Standard Time (PST), which is usually a 2 hour difference. Traveling from Lahaina in September, expect San Francisco to be little chillier, temps between 28°C and 17°C. Finish your sightseeing early on the 23rd (Mon) so you can drive to Yosemite National Park. 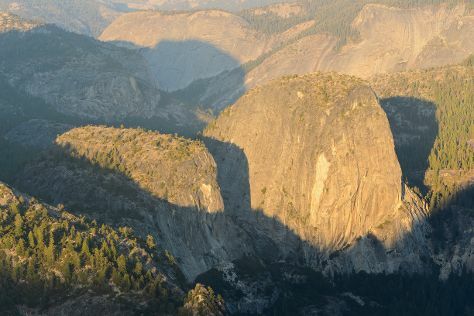 Start off your visit on the 24th (Tue): get great views at Tunnel View, take in the dramatic natural features at Sentinel Dome, then take in the dramatic natural features at Glacier Point, and finally make a trip to Olmsted Point. Keep things going the next day: tour the pleasant surroundings at Lembert Dome and then stroll through Tuolumne Meadows. To see photos, maps, ratings, and other tourist information, use the Yosemite National Park online sightseeing planner . Getting from San Francisco to Yosemite National Park by car takes about 4 hours. Other options: do a combination of flight and car; or do a combination of flight and bus. Plan for colder nights when traveling from San Francisco in September since evenings lows in Yosemite National Park dip to 3°C. Finish your sightseeing early on the 25th (Wed) so you can travel to Page. Kick off your visit on the 26th (Thu): admire the engineering at Glen Canyon Dam Overlook, have fun at Gunfighter Canyon, then explore the striking landscape at Horseshoe Bend, and finally take in breathtaking views at Antelope Canyon. On the next day, capture your vacation like a pro with an inspiring photography tour. To find reviews, maps, traveler tips, and tourist information, use the Page trip app . You can do a combination of bus and flight from Yosemite National Park to Page in 9 hours. Other options are to drive; or do a combination of bus, flight, and shuttle. Traveling from Yosemite National Park to Page, you'll lose 1 hour due to the time zone difference. Traveling from Yosemite National Park in September, expect nights in Page to be much hotter, around 20°C, while days are a bit warmer, around 35°C. Finish up your sightseeing early on the 27th (Fri) so you can travel to Yellowstone National Park. Start off your visit on the 28th (Sat): witness a stunning natural landmark at Old Faithful, then trek along Artist Point, and then take in breathtaking views at Grand Canyon of the Yellowstone. On your second day here, hike along Trout Lake Trail and then look for all kinds of wild species at Lamar Valley. 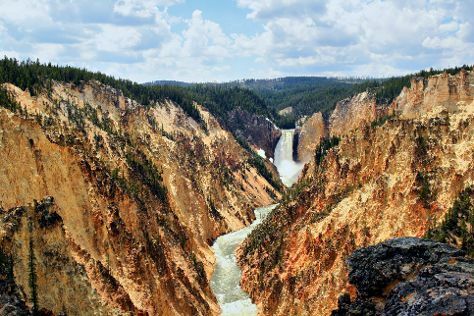 For maps, more things to do, traveler tips, and tourist information, use the Yellowstone National Park trip itinerary builder site . Traveling by combination of flight, shuttle, and car from Page to Yellowstone National Park takes 11.5 hours. Alternatively, you can drive. Prepare for colder weather when traveling from Page in September: high temperatures in Yellowstone National Park hover around 18°C and lows are around 0°C. Wrap up your sightseeing on the 29th (Sun) to allow time to travel to Gatlinburg. Start off your visit on the 30th (Mon): admire the natural beauty at Parrot Mountain & Gardens, get your game on at The Escape Game Pigeon Forge, brush up on your knowledge of spirits at Ole Smoky Tennessee Moonshine, then find something for the whole family at Smoky Mountain Alpine Coaster, then brush up on your knowledge of spirits at Sugarlands Distilling Company, and finally sample the fine beverages at Ole Smoky Tennessee Moonshine. On the 1st (Tue), you'll have a packed day of sightseeing: do a tasting at Tennessee Homemade Wines, then contemplate the long history of The Old Mill, and then get interesting insight from Tours. Discover how to plan a Gatlinburg trip in just a few steps with Inspirock's itinerary builder. You can do a combination of car, flight, and taxi from Yellowstone National Park to Gatlinburg in 9.5 hours. Other options are to do a combination of car, shuttle, flight, and taxi; or drive. The time zone difference moving from Mountain Standard Time to Eastern Standard Time is 2 hours. Prepare for much hotter weather when traveling from Yellowstone National Park in September: high temperatures in Gatlinburg hover around 33°C and lows are around 19°C. Finish your sightseeing early on the 1st (Tue) to allow enough time to travel to New York City. New York City is known for museums, nightlife, shopping, historic sites, and parks. Your plan includes some of its best attractions: go for a walk through Central Park, enjoy breathtaking views from Top of the Rock, take a stroll through Times Square, and explore the world behind art at The Metropolitan Museum of Art. You can do a combination of taxi, flight, and bus from Gatlinburg to New York City in 5 hours. Other options are to do a combination of taxi and flight; or drive. Traveling from Gatlinburg in October, expect somewhat warmer with lows of 16°C in New York City. Finish your sightseeing early on the 4th (Fri) to allow enough time to travel back home.